Research, in fact, was instrumental in the genesis of the Do No Harm Clinic. In 2009 a talented group of University of British Columbia Management students conducted an extensive research analysis of the pilot project for the Do No Harm Clinic. 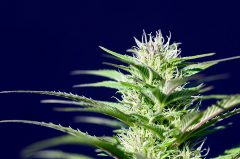 The Do No Harm Clinic is committed to ongoing research in the field of Medical Marijuana. We are presently compiling an extensive database of Canadian Medical Marijuana patients. Clinical research interests include the study of oral marijuana and it’s role in disease management. The educational video below is courtesy of YouTube . Dr. Donald Abrams MD is a US physician with special expertise in Medical Marijuana.